Going on strike is not something anyone really wants to do. While it may be empowering to finally make an employer feel the effects of unfair labor practices, it is not easy to live without a paycheck. For that reason, workers who are forced to go on strike hope their employer will not be able to financially weather the strike and will cave before the strikers do. 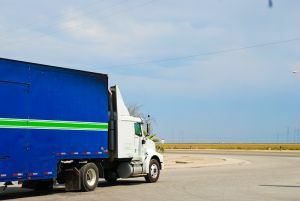 According to a recent news article from The Nation, dozens of workers at the California Cartage warehouse went on strike. The Cartage Warehouse is part of the Port of Los Angeles and employs large numbers of Longshoremen’s Union members, as it has throughout its storied past. The Los Angeles ports have been the site of many disputes between workers and management over the years, much like the large ports and shipping piers in major cities across the country. In addition to longshore worker strikes, we are now seeing trucker strikes and warehouse worker strikes. The ports are staffed by members of the various unions. As our Los Angeles employment attorneys can explain, the different jobs at the ports are associated with different unions, as they have been for decades. The longshoremen are responsible for unloading cargo ships and operating containers cranes, as well as tracking cranes and sorting the huge stacks of containers. It is the truck drivers that enter the port to have a container placed on their flatbed or trailer, and it is the warehouse workers who take loose freight and store it. The reason for going on strike is to protest against being paid what they are calling poverty wages and being subjected to the harsh conditions in which they are forced to work. One of the major demands is an immediate raise to $15 per hour. This would go into effect as soon as agreed to, whereas the automatic raising of the Los Angeles minimum wage to $15 per hour is expected to take until 2020. In addition to going on strike, these workers have filed an employment lawsuit against the port owner and several other staffing agencies, claiming workers were underpaid $2 to $3 per hour beginning when the company took over the port jobsite in 1999. Workers are arguing defendant should be following city ordinances with respect to paying for labor, because the docks and warehouses are located on land leased from the city – a city with a local living wage ordinance. Another claim as part of their wage and hour lawsuit is that they are being denied earned overtime pay and forced to work strange hours. The workers are also claiming that, on more than once occasion, they have been told show up at work and then sent home because, as it turned out, there was not enough work for everyone. They were not offered any compensation for taking the time and spending the money to show up at the docks. There are approximately 500 workers involving in this class action lawsuit. Some of the allegations recently added are that employer tried to provoke physical fights with workers who asked for a break in very hot working conditions.